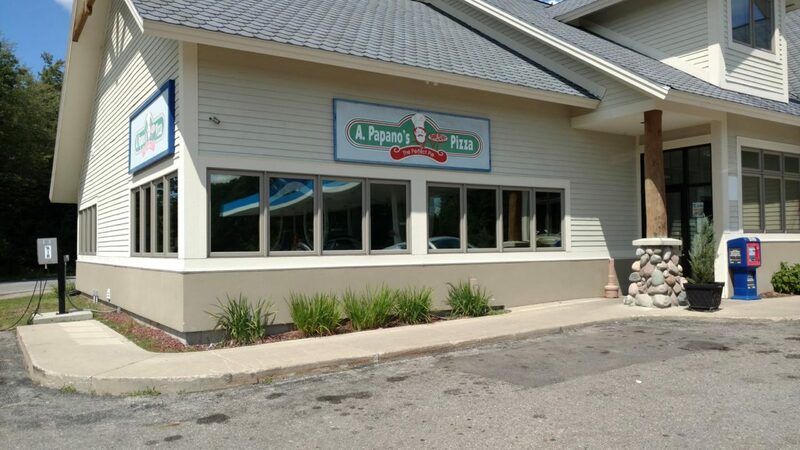 Thompsonville, Michigan – A. Papanos Pizza hired us to relieve their establishment of high temperatures from intense solar exposure this summer. Llumar Window Film DR15 and DRN35 provided significant relief. The area looks incredible while looking and feeling much cooler. Check out the photos and be sure to fuel up and grab one of their delicious pizzas while you’re there! If you have any questions about window tinting films and how they can be used to save energy, reduce excessive heat, cut glare, add fade protection and improve comfort, give us a call today. You can contact the team at All Season Window Tinting by calling 231.943.9773 for an absolutely free, no obligation consultation and quotation on implementing commercial window film into your facility. Service areas include Traverse City, Grand Rapids, Cadillac, Petoskey, Roscommom, Ludington Michigan and their surrounding areas.